Chatham, Massachussetts. According to my friend Bethanne, this was quintessential Cape Cod. The beach most certainly lived up to her kvelling. The town? Not so much. My village tour got off to a sweet start at the Chatham Candy Manor where we indulged in sugary, tart Vinegar Toffee. Next on the list was Chatham Cookware. Bizarrely it was low on cookware, but high on being a cafe. Huh? 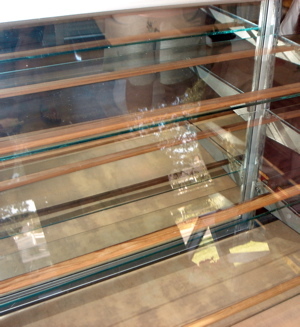 We followed that up with a visit to The Chatham Cheese Company, a sizable store with a miniscule cheese selection. In comparison to the dairy products, they had an ample collection of vino. It left me wondering if the name "The Chatham Wine Company" had already been taken when the owners decided to set up shop. 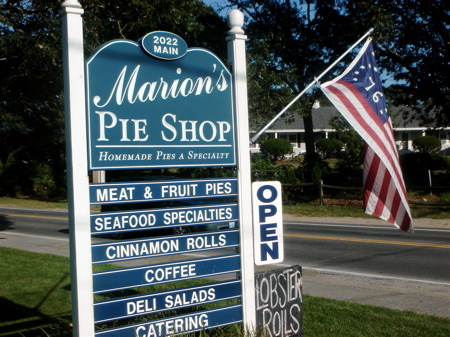 Bethanne promised that I wouldn't be similarly let down by our trip to Chatham's legendary bakery supreme, Marion's Pie Shop. At this point, Chatham held no charm for me. We had fresh seafood to pick up for dinner and there was no way we were going to risk hitting up a fish store in Chatham. They'd probably just have chicken. So, we drove out to Harwich and George's Fish Market, a shop brimming with glorious, briny shellfish and camera-worthy fishmongers too. 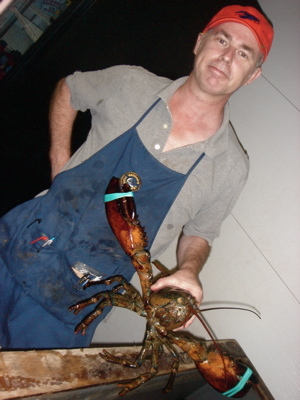 Both monger and lobster warranted snapping up! I'm sorry your trip to Chatham was such a bust! 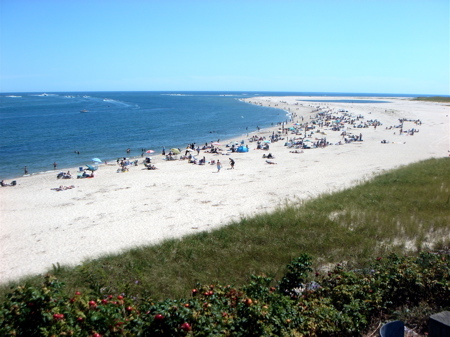 As a almost-native Cape Codder I implore you to not let this experience sully your opinion of our lovely sandbar. Come back and check out Brewster and Orleans. Hopefully we can redeem the Cape for you!